Well now, onto my reading list for university. I decided that I would start it off by re-reading the ones that I've already read through at one time or another. Hence why this review was changed last minute from Windfall to Dracula, a title that I haven't actually read in full since high school. I had some issues with it then, so a large part of me was wondering whether I would still have problems with it now, or whether it was part of being young and stupid. For those of you who have really been living under a rock for years, Dracula chronicles the stories of a group of people whose lives are changed completely by the intrusion of Count Dracula, a powerful vampire who has grown tired of feeding in his home in Romania and decides to make a new feeding ground in Victorian London. Our plucky group decide that this just isn't on, so they band together to stop Dracula from filling London with the undead. It's a pretty basic story really: monster enters, monster is destroyed by pinnacles of society at the time. But Dracula does have several factors in its favour that stop it from being boring. First, is Count Dracula himself; he is still genuinely creepy after all these years. I suppose it's the fact that he starts off acting so charming towards Jonathan Harker that when he shows his true colours, he is all the more chilling because of his former charm. The other aspect is that this is an interesting kind of time capsule in regards to Victorian society, particularly the characters and their roles in society. The people that make up the intrepid group hunting Dracula are taken from various important groups in society: for example, there are Jonathan Harker and Dr Seward, a lawyer and a doctor respectively, representing the growing middle classes, and then Arthur Holmwood representing the traditional aristocracy; the fact that they are embracing the new technology that comes of the industrial revolution is also very interesting, especially in the way that it is juxtaposed with the traditions and superstitions that were slowly being phased out at the time. The one real con that I have with the book is one that may surprise you. It's the Count. Well, not the Count as a concept, more the Count's actions in the book; his conduct as an antagonist is moronic. This is actually the problem that I had with Dracula the first time I read it. In choosing his victims, Dracula doesn't seem to do his homework all that well. First he torments Jonathan Harker by locking him in Castle Dracula with three undead women; his first real victim upon reaching England is the best friend of Jonathan Harker's fiancée. Having turned said best friend into the undead, he proceeds to target the group again, this time most definitely on purpose, by biting Mina Harker. If you're trying to set up a new life spreading death and disaster upon a new country, surely the last thing you want is to make your presence known to a specific group of people that you happen not to like? And even if you do insist on persecuting a particular group of people, why on earth a group of people with an insane amount of pooled knowledge and assets? 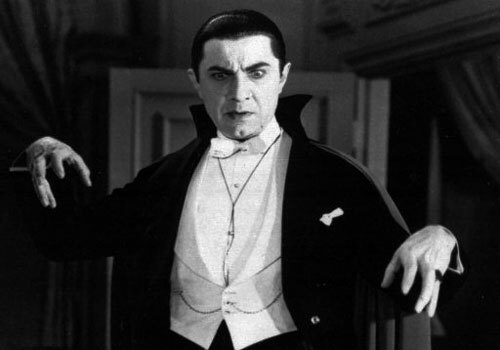 Seriously, there are no lower-class heroes or heroines in Dracula; if there had been, the vampire would have won. As it was, the targeting of a group who can afford to chase you back to Transylvvania was a monumentally stupid idea. The afterword mentions the idea of persecution as a leftover from his life as a Romanian prince, but that just seems like trying to defend an element of the novel that is ridiculous no matter how you look at it.